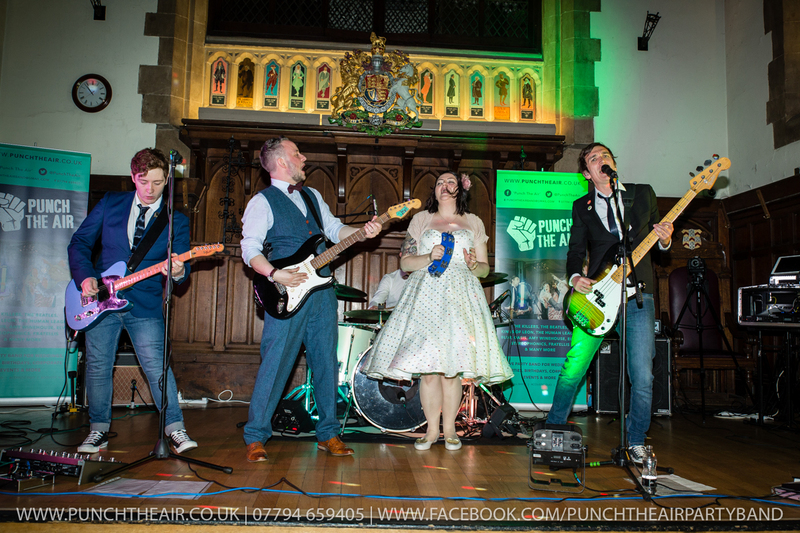 ‘Punch The Air’ specialise in weddings, these are the main bulk of our performances throughout the year. We’ve performed at hundreds of weddings over the years so when you book us as your wedding band you can rest easy knowing that we can handle anything that is thrown our way on your special day. You can check out lots of live wedding photos from over the years here on our images page. 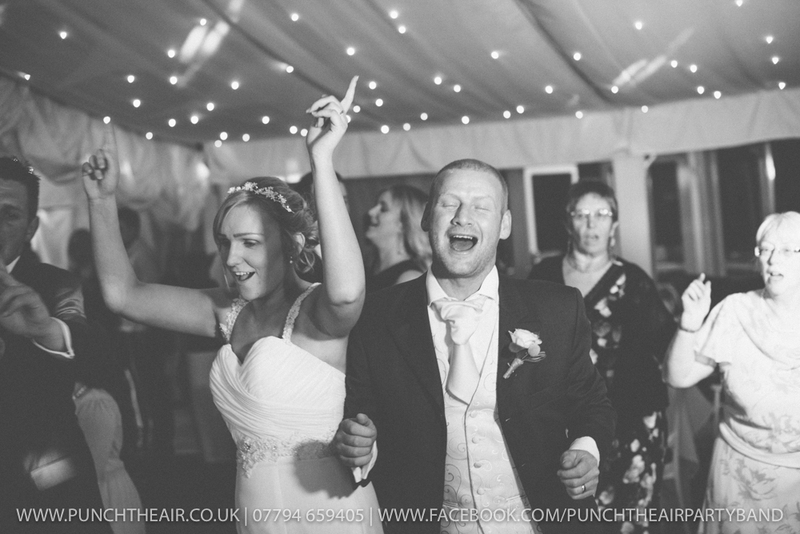 Whats included when you book ‘Punch The Air’ as your wedding band? 00s (And onwards) – George Ezra, Kings Of Leon, Amy Winehouse, Killers. 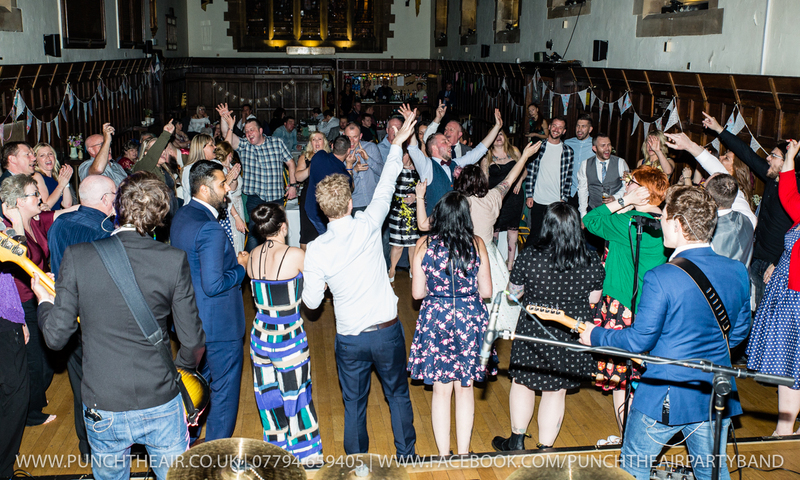 We perform tried and tested pop tunes from the last 60 years and don’t perform anything that is too loud, too heavy or too overly modern as we want everyone at your wedding to enjoy themselves as much as possible. You and all your guests will know all of the songs we perform, so prepare to head happily to bed afterwards with sore feet and hoarse throats. Our poptastic repertoire is here featuring lot of uplifting songs about love and life that everyone will be able to appreciate. Depending on where your wedding venue is located can effect the price we will charge so we can’t provide a 100% accurate price on our website but you can be assured that it will be very competitively priced nonetheless. Don’t forget to include your wedding venues postcode when you contact us below. We very occasionally run special promotions to fill up odd dates in our diary so follow us on our Facebook page here for further details. Check out the below Vlog style wedding video we produced ourselves of what a day in the life of a professional wedding band is like. It’ll really help you understand what you’re paying for and how your special day breaks down for both us and you. 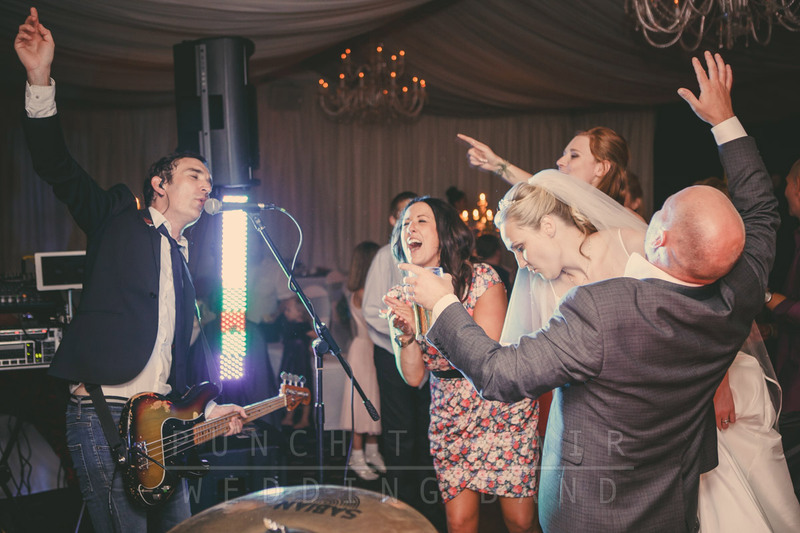 We are constantly creating videos of ‘Punch The Air’ performing live as we know its hard to decide on a band for your special day without being able to see them perform in person beforehand. We’re not about artistically directed “Mimed to backing track” videos recorded in sterile studio set ups. We really are all about showing you what we can do live. In all of our latest videos here you will see and hear us performing 100% live in front of actual guests. These videos show peoples actual and honest reactions to what we do on a weekly basis. What other wedding bands have videos like this? Check them out here on our videos page. Does your wedding venue have a “Sound limiter”? More and more wedding venues (Even those out in the middle of the countryside) are having to fit “Sound limiters”. This enables a venue to help lower volume levels so as not to annoy nearby neighbours. This is not a problem for ‘Punch The Air’ as we can always bring along our state of the electronic drum kit. This means we can then work to whatever decibel limit your venue is working towards. We have performed in this manner many, many times and have even performed at a volume level lower than you would listen to your own music to home at. What do previous clients think? 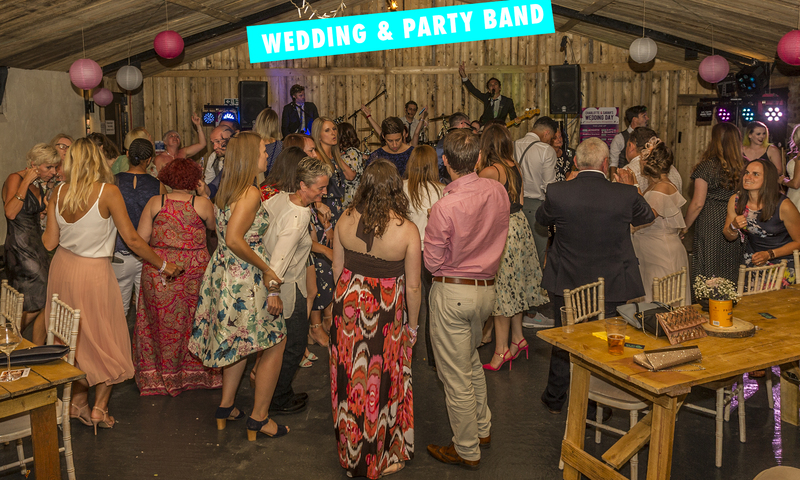 We know we’re a really fun and professional wedding band, but don’t just take our word for it, head on over to our testimonials page and read some of the lovely things people have said about us recently.